Out of the four things we do (research, inspire, enable, and drive) the first two involves a lot of knowledge, a lot of learning, and a lot of reflections. For us to learn, evolve and constantly develop our own competences, we need to stay in touch with the newest research within the future of work. Also, we perform own research with customers, and collect cases and data on the elements we see working. For us to be inspiring, do public speaking, and enable you to drive the organisational transformation needed to stay relevant, we need to be at the top of our game. On this page you’ll find our list of recommended literature within future of work (and more), as well as our own books and published papers. Among the vast amount of books in our library, here’s a shortlist of inspiration, that we like and keep returning to, and highly recommend as start-point. On this list you’ll find books, articles, podcasts, and blog posts in both English and Danish. We hope you’ll like it and feel inspired to create organizations where people want to show up! Please let us know, if we should include something on the list! How to organize the workplace of the future! The content and message of the book reflects observation based on at least 15 years of working in corporate enterprises: Tactical and operational work gets done in small teams only, NOT in large operational structures. This observation is uncorrelated to the size and impact of the work: Success is not an attribute of corporate collaboration, but of small self-managed teams in a teams-of-teams structure – hence teal dots in an orange world: Self-propelled teams in a universe of minimal corporate support. The title refers to the work done by Frederic Laloux in his book “Reinventing Organizations”, where he describes five organizational stages (Red, Amber, Orange, Green, Teal): Orange being the classical corporate structure; teal being the modern team-oriented organism. 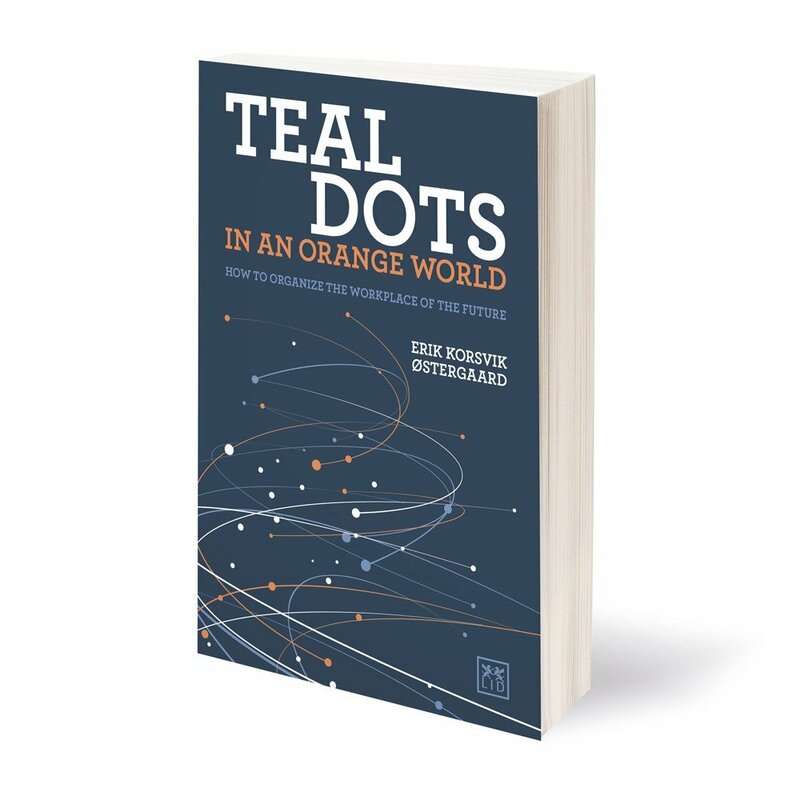 Where “The Responsive Leader” set the scene, describing the paradigm shift towards the future organizations, “Teal Dots in an Orange World” will address how to create that structure. How to be a fantastic leader in a constantly changing world! 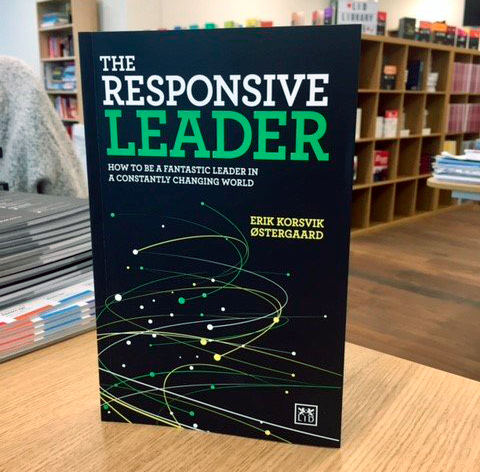 The book is based both on Erik Korsvik Østergaards personal experience as a leader, and on learning from 150+ keynotes, 50+ customer engagements, workshops with 300+ leaders, and test or survey results from more than 2,500 respondents on either personal leadership style or organisational dynamics. Together this has formed the basis for a codification of the mindset and the mechanisms of responsive leadership. The book was published in February 2018. Written by Erik Korsvik Østergaard. Published by LID Publishing. This book is for you, if you want to lead your organisation into the 21st century. This book is for you, if you feel bombarded with input, articles, and news about automation, the exponential growth in computer power and data, and new ways of working … but cannot grasp it and don’t know where to start. This book guides leaders to understand and navigate this new paradigm, putting light on the mindset, the models, and the mix of elements in the future of work.